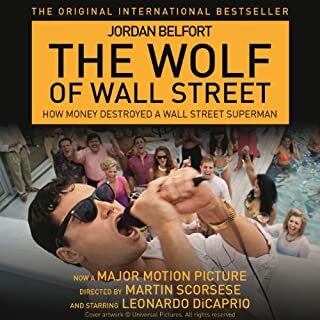 This is a great, of the wall story about a man who started with nothing and became a millionaire shifting stocks in Wall Street. His life is unbelievable! The narration is brilliant and really brings the story alive . Murder, courts, prison, retribution and justice! What did you like most about A Prisoner of Birth? I love the way Jeffrey writes. This book comprises of 5 sections (book 1-5) taking you from the scene of a murder, to trial, to imprisonment, to revenge and finally justice. The story is clever and complex and brilliantly written with characters that you care for so much, as well as those that you loathe. It's a huge story so many twists and turns, and it's a story that will never leave your head once you're finished. My favourite chapters were those within HMP Belmarsh and the trials. What does Roger Allam bring to the story that you wouldn’t experience if you had only read the book? Roger's portrayal of the characters is outstanding. He has a voice that commands you to listen and this worked extremely well in the court chapters. Yes! But unfortunately, it's a huge story so I had to listen to it over about a week. 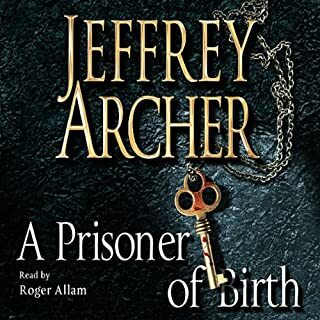 Apart from the Prisoner Diaries (which I absolutely love), this is the first novel I have had the pleasure of reading (listening to) by Jeffrey Archer. It won't be my last! What did you like most about Fifty Shades of Grey? The slow reveal of Christian's issues. What does Becca Battoe bring to the story that you wouldn’t experience if you had only read the book? She was able to bring out Anna's character better than I did in my imagination. Yes. I was enthralled by the romantic connection. I felt lost at the end of the book and was glad I could listen to the next one immediately! What made the experience of listening to Fifty Shades Freed the most enjoyable? Being able to listen to it when I'm driving, cooking, doing the dishes...! I liked Becca's performance. I thought she got all the characters spot on and, although at first, I thought Christian sounded a bit strange, it soon became apparent that that just wasn't the case. The narration flowed and it didn't once affect the telling of the story in a negative way. Yes - the story is great and the narrator is spot on. Michael. Because he's a strong male lead, which I enjoy the most. She narrates it brilliantly, but I can't say that she brought anything more than my own imagination would have created. 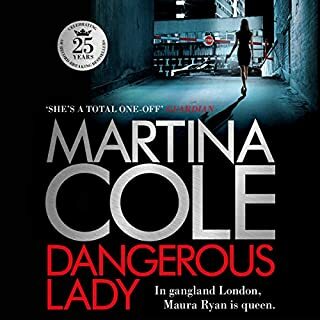 There are always certain sayings, retorts and opinions that Martina Cole adds in her stories that make me chuckle. 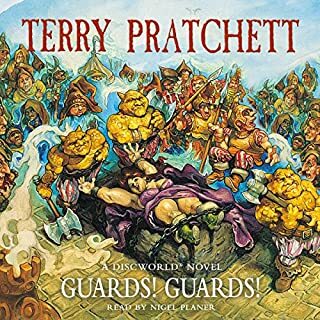 What made the experience of listening to Guards! Guards! the most enjoyable? I was able to listen whilst at the gym. I'm loving Terry Prachett's stories based around The Watch. Love Captain Vimes and thought I'd start from the beginning having read a couple of the later stories. Have you listened to any of Nigel Planer’s other performances? How does this one compare? Captain Vimes to the rescue!